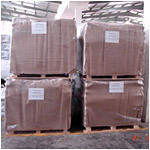 We are a leading manufacturer and exporter of industrial salts and chemicals. Our range encompasses Magnesium Sulphate, Magnesium Sulphate Heptahydrate, Magnesium Sulphate Monohydrate, Magnesium Sulphate Anhydrous, Calcium Hydroxide, Epsom Salt, Hydrated Lime and Industrial Salt. These are formulated using quality ingredient and are marketed under the brand name of ‘Magmee’.